If your vehicle sounds like an F1 car or a BOY RACER, then it could be time to replace your Exhaust. Your exhaust system is the network in your car that takes all the burned fumes from your engine and expels them through the silencers and the catalytic converter. Your car’s exhaust system endures huge amount of punishment day in, day out. It contends with intense heat and corrosive by-products. The silencer is a fascinating feat of engineering. It features a deceptively simple set of tubes. These tubes are finely tuned to reflect the sound waves produced by your engine, and cancel them out. When these tubes become corroded, the sound waves are no longer forced through the tube and they escape outside. The result is an increase in noise levels. That boy racer sound, where you can be heard coming a mile away! Your catalytic converter is the component that turns harmful gases into water vapour and lesser pollutants. It also lessens emissions of hydrocarbons, carbon monoxide and nitrogen oxides into the atmosphere. Better for you, better for everyone. 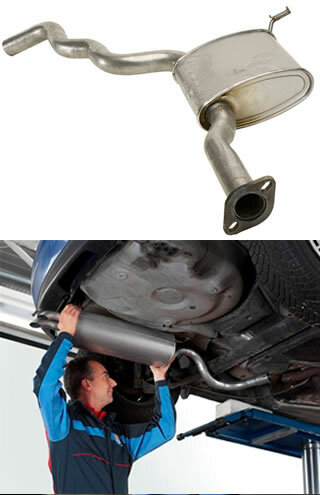 Having a fully functioning exhaust system means you will avoid headaches caused by gasses escaping into the body of your car, excessive noise and a build-up of rust and corrosion on the under body of your car. A good exhaust system will deliver a far superior on-road performance. Plus from an environmental standpoint it is illegal to drive a car with an under performing exhaust system. 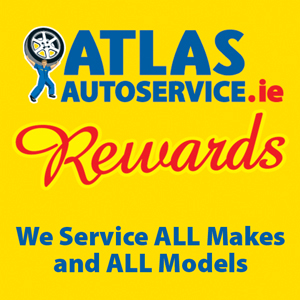 Why not call in to your local ATLAS AUTO SERVICE BRANCH and have your exhaust checked by one of our specialist. We will be happy to provide a free, no obligation inspection and quotation?